Illustration of the first Labor Day parade in New York City. As we celebrate the 124th Labor Day, enacted by Congress on June 28, 1894, we may reflect on the how and why of the workingman's holiday. Labor Day has its roots in the Industrial Revolution and the evolution of labor unions. In the late 1800s, a typical work week consisted of a 12-hour day, seven days a week. Five and six year old children worked in mills, factories and mines. Working conditions were often unsafe. Early labor unions focused on skilled trades, and were often formed and then disbanded after they achieved their goals. However, by the mid- to late-1800s, labor unions were working toward better working conditions, hours and pay. Strikes and rallies often became violent confrontations between workers and police, including Chicago's infamous Haymarket Riot in 1886. 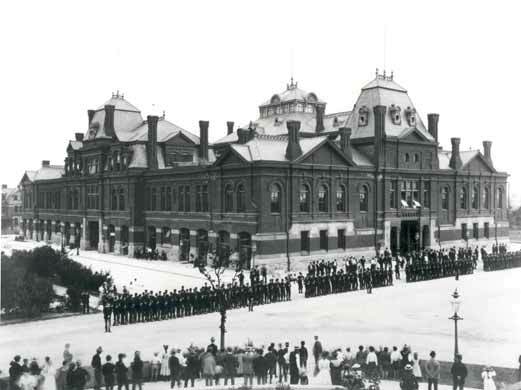 The 1894 Pullman Railroad Strike. The Illinois National Guard.at the Arcade Building in Pullman IL. 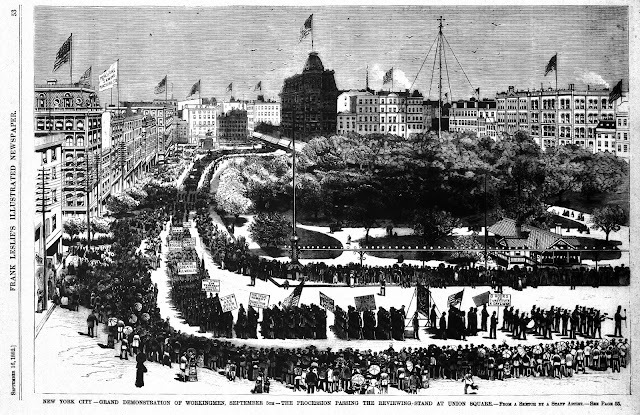 Despite the threat of violence, 10,000 workers marched in the first Labor Day parade in New York City on September 5, 1882. That first march led to a tradition of celebrating the first Monday in September. Oregon was the first to implement the holiday, passing it into law on February 21, 1887. Several other states followed Oregon's lead. The federal government was forced to recognize Labor Day after the American Railroad Union crippled railroad traffic nationwide in 1894. The boycott of the Pullman railway cars led to federal troop deployment in Chicago and riots that killed a dozen or more workers. In a conciliatory move, President Grover Cleveland announced the establishment of the official federal holiday – Labor Day. Today, Labor Day has become the unofficial end of summer. 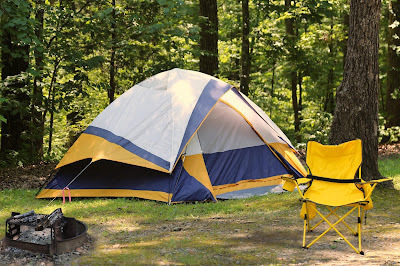 Family vacations often include this last three-day weekend before school starts on Tuesday. 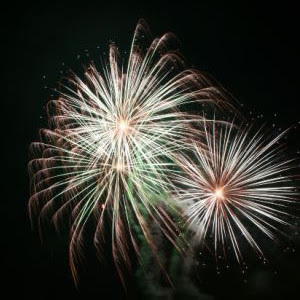 Public celebrations include parades, fireworks displays, barbecues and other events. As we spend time with friends and family, remember that our day of rest and relaxation is due to the efforts of American workers and their unions, who were willing to strike, fight and die for better working conditions and wages. We all benefit from their sacrifices, so let's each raise a beverage and salute the American worker before digging into the burgers, potato salad and pie. The series on Women in Science Fiction will resume on October 1st. Very informative post, thank you, Ruth. Today on #OurAuthorGang, author Ruth de Jauregui​ enlightens us as to the truth behind Labor Day and why it means so much more than just "End of summer. Back to school." Today, Ruth de Jauregui explores the history of Labor Day. Have a safe happy last day of summer...and remember those trailblazers who've gone before us. My own contribution to #OurAuthorGang today. Have a great day and be safe out there on the highways! Sometimes I take a deep breath and remember that it's thanks to the workers and their unions that we have a 40-hour work week and better working conditions. Labor Day sure is the workingman's (and woman's) holiday. Happily, the workers and their unions made it possible. Thank you! Happy Labor Day! What a long way we have come in the workforce. Indeed! Thanks to the brave people who fought for making life better for the working class. A great post on Labor Day and those who fought to make it come to fruition. Happy Labor Day!